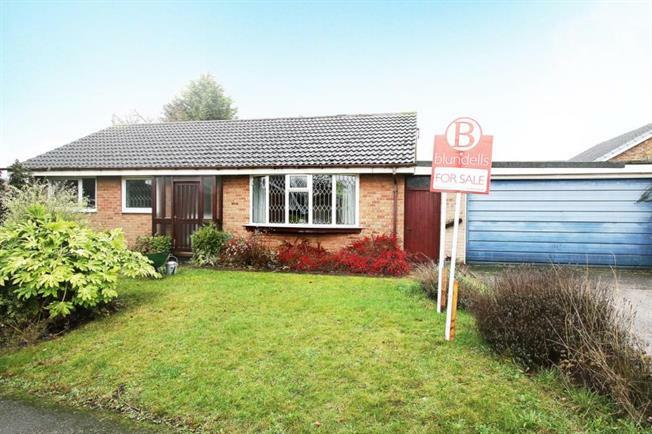 3 Bedroom Detached Bungalow For Sale in Rotherham for Guide Price £180,000. GUIDE PRICE 180,000 - 190,000 SUPERB DETACHED BUNGALOW! Fitted kitchen, Spacious, attractive garden, driveway and DOUBLE GARAGE! Situated in this enviable position in this sought after location. Offered for sale with no chain involved the property requires upgrading. The property gives access to local amenities, schools, public transport links and motorway networks. In brief the property comprises of entrance porch leading through to the entrance hall. Semi open plan L shape lounge / dining room which opens through to the kitchen having a range of wall and base units. From the dining area there is access to the conservatory. There are three bedrooms and family bathroom. Outside there is a lawn to the front with drive giving access to the double garage. To the rear is a patio and lawn garden.